Our UK based destinations offer clients mini breaks and an opportunity to see the beauty that is Britain. Eradicating the stress of airports, this provides pure relaxation in stunning accommodation. 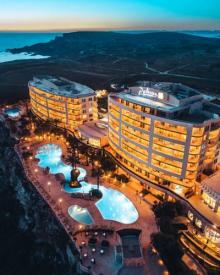 With centrally located hotels, we make it easy for you to escape away from the rat race that is our day to day life to enjoy the companionship of our loved ones in luxury. The Needham House Hotel is set in the village of Little Wymondley in Hertfordshire. 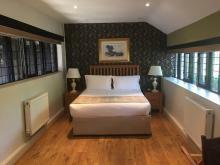 The accommodation is 2 miles from the British Schools Museum, 3 miles from the North Hertfordshire Museum and 6 miles from Knebworth House. more. Set in the beautiful Kent countryside, the Hever Castle Golf Club is set only a mile and a half from the lovely moated Hever Castle. Whilst you are there, you could also enjoy the championship 27 hole g more. The Bridge of Lochay Hotel is in a set in the perfect location for you to relax in Breadalbane, one of Scotland's most picturesque areas. The hotel sits on the banks of the River Lochay, Killin, by the bridge that gives the hotel more. There is a never ending list of things to do in the area. Whether you are looking for a relaxing break or looking to blow the cobwebs away and take part in some outdoor activities, shop, sample food and drink, Aberfeldy has it all more. 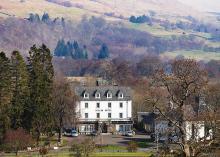 The Killin Perthshire Hotel is situated in the central Highlands of Perthshire at the west end of Loch Tay. It is arguably the most picturesque village in Scotland, surrounded by the most incredible and breathtaking mountains, riv more. The Townhouse Aberfeldy is welcoming and contemporary with a strong hint of our Scottish heritage. Most of our rooms benefit from stunning views of the surrounding hills and inimitable Perthshire scenery. We offer off street parki more. Holiday Inn Express Liverpool Hoylake and Marco's New York Italian, share a stunning location on The Kings Gap within 5 minutes walking distance of the sandy beachfront of Hoylake which has views stretching over the dee estuary on more.